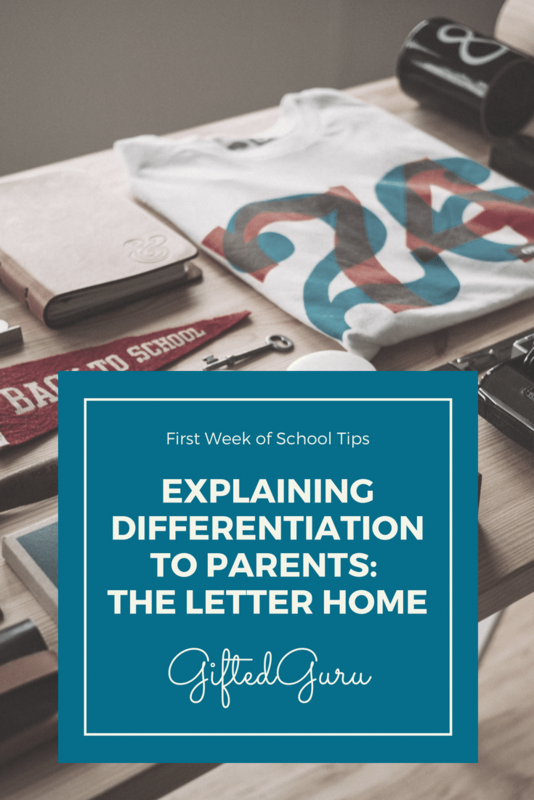 One important step teachers should take in the beginning of the year is to share their differentiation philosophy and practice in the letter that has the information about the class. By request from a great group of high school teachers in Katy, Texas, I’m sharing my paragraph about differentiation that is in my beginning of year letter (along with a few other ideas). 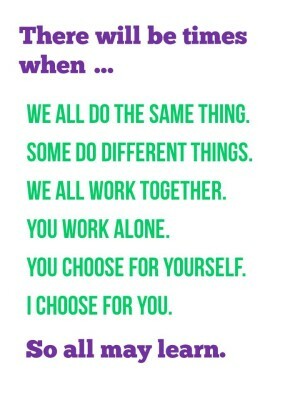 This is what my beginning-of-the-year letter home says about differentiation. Your student may tell you that he/she is doing something different from other students. Your student may tell you that his/her work was “harder” or “easier” than that of other students. These are probably true. I promise you that your child’s work will be respectful and appropriate. I promise that your child will have the opportunity to learn every day. I promise you that grading will be fair and aligned with the grade level. If your child requires adjustment frequently, you will receive more information from me about that. And these things are true. I send this home as part of the longer letter about how the class operates, and I use Read Ahead Contracts and Work Ahead Contracts for students who consistently need those. The poster hangs in the room, and is frequently referred to. My experience has been that parents understand that children have different needs. After all, federal law requires that teachers adjust for students with disabilities, and and it’s a very short leap to understanding that we adjust for high ability students as well. As with so many things, early, accurate, truthful communication prevents many problems.